Baltimore County Executive Don Mohler announced on Thursday that the Metropolitan District Charges for water and sewer service will increase on July 1 by an average of 13.9 percent. While this is the average increase, actual rates will vary. Some will be more, and in some cases, it will be less. Although the County will need to continue to increase rates annually for the next few years to maintain the required funding levels, those increases should level off to approximately 6 percent. Since 2011, the Baltimore County Government has invested nearly $1.8 billion to upgrade its aging infrastructure. A significant portion of that investment is also going to upgrade sewer infrastructure. This $1.8 billion dollar investment does not include necessary major improvements on the horizon, including the construction of a new Fullerton filtration facility and a rehabilitation of the water filtration plant at Montebello. Costs for these necessary system wide projects will ultimately be shared with the City and other County jurisdictions. In order to minimize the financial impact of these rate increases, Baltimore County will provide credits for any property owner whose home is assessed by the Maryland State Department of Assessment and Taxation (SDAT) at $250,000 or less, which is 125 percent of the median housing price in Baltimore County. With the applicable credit, nearly 80 percent of County residential property owners will see an increase of no more than $100 for the Combined Sewer Service Charge and Water Distribution Charge. What is the Metropolitan District? The Metropolitan District Fund is a self-sustaining fund that is not part of the County’s operating or capital budget. Failure to maintain adequate revenue in the fund to support the County’s construction projects would lead to a downgrade of Baltimore County by the bond rating agencies and the loss of its triple AAA bond rating, costing County taxpayers millions of dollars in increased interest payments and bond debt. The Metropolitan District sewer and water-operating district was created as a separate and financially self-supporting entity in 1924 under the jurisdiction of the County to supply water and to provide sewerage and drainage systems to residents of the County living within certain prescribed areas. The water system is actually an extension of the Baltimore City system, which draws water from county reservoirs, treats the water, and then returns it to County residents at cost. The Metropolitan District in Baltimore County consists of 3,151 miles of sewer lines and another 2,108 miles of water lines. Sixty percent of the County’s water and sewer pipes are more than 50 years old, which is the design life span of a water and sewer pipe. More than half of all the County’s pipes were installed before 1970, with the greatest percentage installed in the 1950s. County users also pay for the County’s portion for the operation of water and sewer treatment facilities located in the City that benefit all users. The Back River Treatment Plant was completed in 1911, and the Patapsco treatment facility became operational in 1940. The City’s Montebello Water Filtration Plant No. 1 was built in 1915, and the Montebello Filtration Plant No. 2 was built in 1928. The City’s Ashburton Water Filtration plant was completed in 1956. 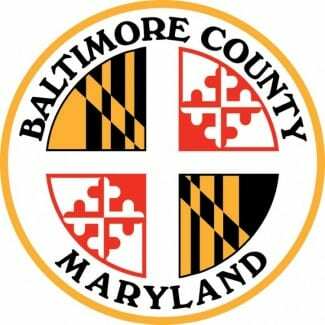 County property owners receive quarterly water bills from the City of Baltimore. These bills are based upon the amount of water that County property owners use. Baltimore City’s water rates charged to County property owners are increasing by 6 percent beginning July 1, 2018. Baltimore City has been working to address the issue of incorrect water meter readings, and is making significant progress. While the new electronic meters appear to be generating accurate readings, some property owners may see increased bills, in large part due to the fact that they have actually been undercharged for years. For example, in some cases, the old meter readings often reported low or no water consumption in a home. The new meters are expected to alleviate that issue in the future. The sewer service charge is based on a volumetric rate, similar to the water delivery charge. The equation is basically “water in equals water out.” The sewer service charge appears on the County residents’ annual property tax bill in July. Baltimore County sets the sewer service charge rate based upon the readings on the water meters provided by Baltimore City. A water distribution charge is placed on every property having a connection with the Metropolitan District’s water and sewer system. The charge pays the expenses of constructing water supply, sewage systems, as well as operating and other expenses such as principal and interest on bonds. The water distribution charge is a fixed rate that does not vary with water usage. Where do these charges appear? Four of the Metropolitan District Charges appear on County property tax bills, which arrive approximately July 1. The Water Delivery Charge is billed quarterly by Baltimore City.